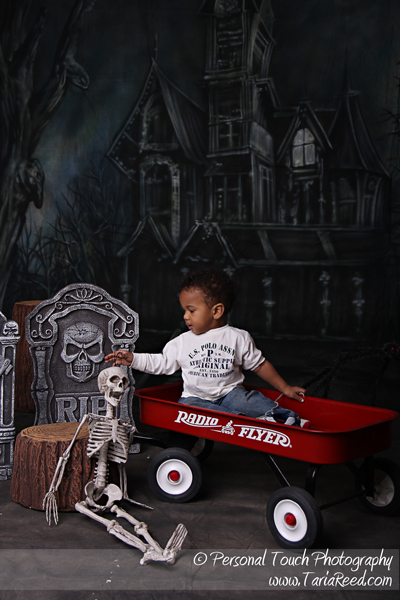 Taria Reed Photography: Halloween Portrait Day! There are still times available for tomorrows Portrait Day. The set is simple, cute, and not too scary. Kids of all ages will fit in and of course you'll enjoy having these images to remember them at this stage in their lives. Looks like Justin was abandoned in front of that spooky house. Lucky for him I wasn't too far away...lol.